Professional stock market investors know very well there is no such thing as an absolutely efficient exchange trading strategy. A “trading Grail” would never exist on the financial market, otherwise one single trader would be capable of earning all the money and crashing the world economy. However, there are trade strategies with an efficiency level over 90%. Today we would like to introduce the Gump options trading system, which allows investors to make more than 90% profitable trades. This trading strategy has an algorithm so simple that even a novice trader will easily apply it. 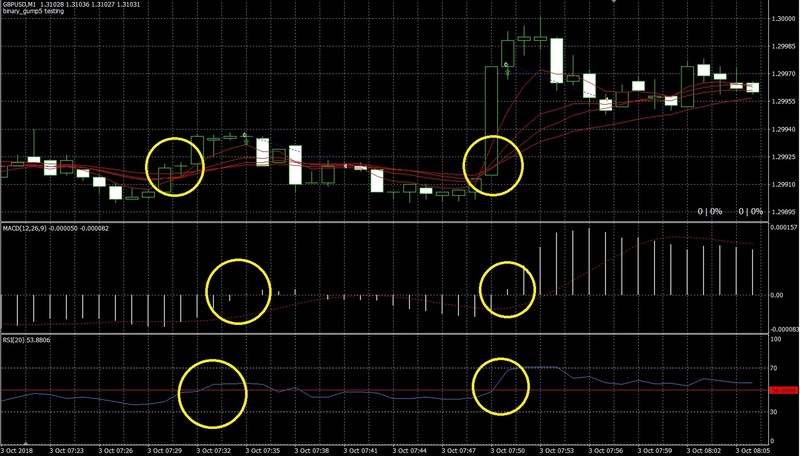 The analysis methods and tools of this strategy work best when applied on the trading platform from the Binomo binary options company (or Review of this broker) — the platform features a variety of technical indicators, a simple and convenient trading functional, and quickly responds to trading orders. But let’s get back to the strategy. Once you’ve entered the Binomo trading platform, you need to create a trading template. To achieve maximum profitability of the binary options strategy, it is necessary to use an expiration period of 5 to 10 minutes. In this case, the number of trades with positive result can reach 90%. To limit losses and trade risks, it is best to enter transactions with a sum that does not exceed 2-3% of your trading account balance. In this case, temporary losses will not damage your trading account, and you will definitely increase your trading capital through profitable trades! If you set some parameters well , 60% win-rate it’s maximum what you can get using this system. I give you an example from backtesting MT4.